The introduction of innovative techniques and novel technologies into clinical practice is a challenge that confronts all aspects of healthcare delivery. Upheaval from shrinking research funding and declining healthcare reimbursements now forces patients, doctors, hospitals, payers, regulators, and even health systems into conflict as new therapies struggle to find a place in the therapeutic armamentarium. The escalating costs of healthcare force all parties to consider both the medical risks/benefits as well as the economic efficiency of proposed tools and therapies. 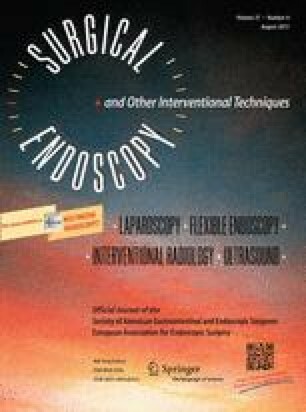 We highlight these challenges by examining the process of initiating and conducting a “society-as-investigator” clinical trial to assess the safety of the natural orifice translumenal endoscopic surgery (NOTES) approach to cholecystectomy in the context of the issues that confront technology diffusion today. Dr. Steven Schwaitzberg has ongoing consultant activities with Olympus, Stryker, Surgiquest, Neatstitch, Cambridge Endo, and Acuity Bio. Dr. David Rattner has a consulting relationship with Olympus Medical Co to run a one-day educational event. Dr. Rattner is also a member of the Scientific Advisory Board of Transenterix, although this company does not make devices for NOTES. Dr. Michael Kochman is a consultant for Barrx and has sold patents to Cook Medical. His spouse derives salary and equity from her employment at Merck & Co. Dr. Robert Hawes has served as a consultant for Boston Scientific Corporation and Olympus Medical and has an equity interest in Apollo Endosurgery—consultant.